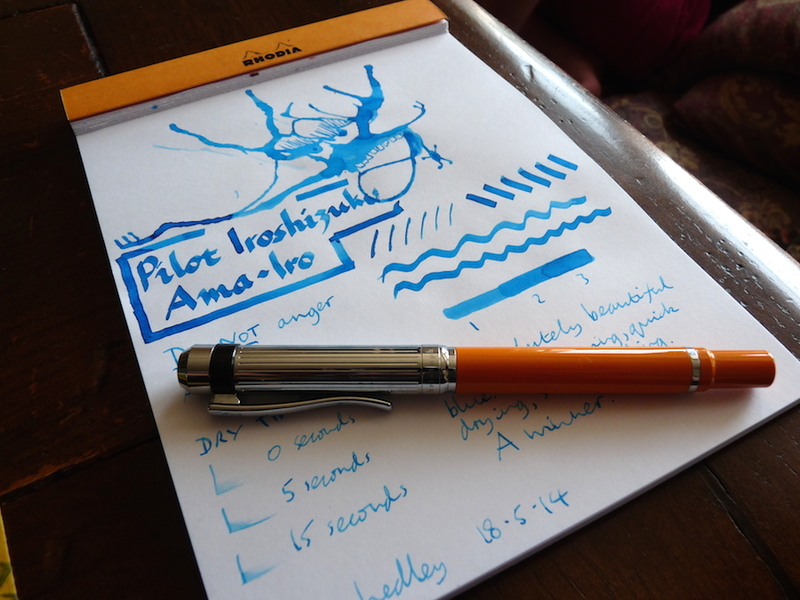 Pilot Iroshizuku Ama-Iro ink review – Pens! Paper! Pencils! 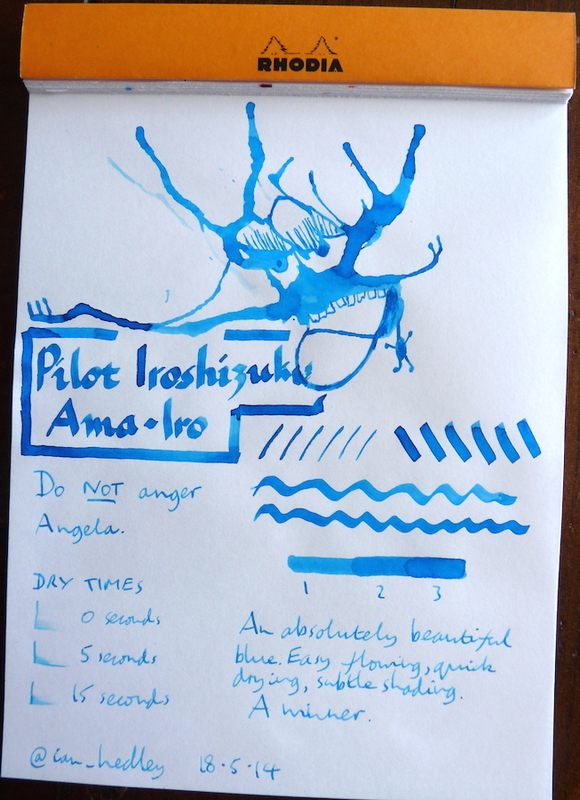 This might well be my new favourite mid-blue ink. It is so bright and lovely and cheerful. It also dries quickly, flows smoothly and has some beautifully subtle shading. Here I am starting to doodle the Inkling but my camera ran out of memory so it stops partway through.